The Artery Nugget X Starter Kit is a stylish vaping device that packs a 50W Nugget X box MOD and a 2ml AT22 sub-ohm tank. As a new member of the Nugget family, the Nugget X has a super compact body with a massive 2000mAh built-in battery. • No e-juice or 18650 battery and you need to buy them separately. • 3 months warranty for the Nugget X MOD and AT22 Tank. If you’re looking for an ultra-compact vape mod with decent battery life and power output as well as most of the features you would exp to find on an advanced vaporizer these days, you might want to consider the new Artery Nugget X. It may be tiny, but for its size, this thing packs a serious punch. See more 50W Artery Nugget X Kit 2000mAh with AT22 Tank review. スペックもデザインも、他メーカーの極小MODと比べるとNUGGETシリーズは抜きん出ている感があります。See more 50W Artery Nugget X Kit 2000mAh with AT22 Tank review. I already have one and ordered this for a friend because he comments on the battery life all the time. He has already confirmed that he enjoys it and the battery life! One downside is that the default Watts is way to high and will cook a coil instantly! Have to be conscious of that! An Unprecedented speed delivery! After payment received in Moscow on the 10th day! MoD is very small and light. The box is ideal. I am very happy, thank you! Recommend! 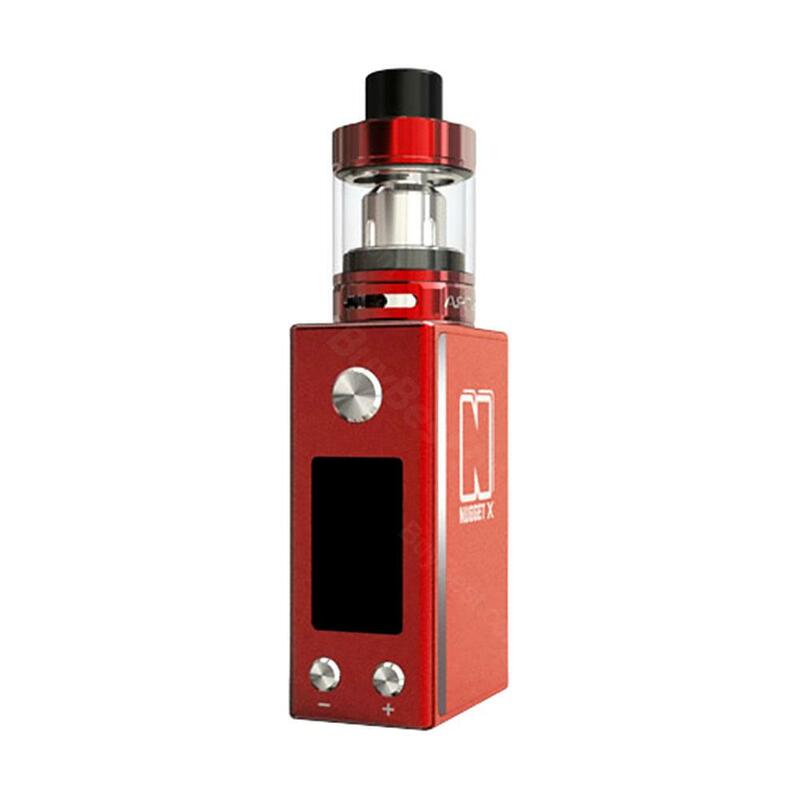 Artery Nugget X Starter Kit have larger battery, i like this red kit very much.